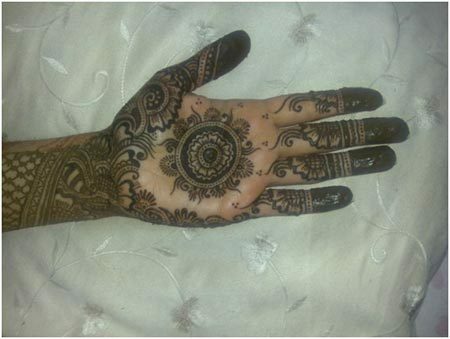 This design too looks beautiful with a central, round design on the palm and floral pattern on the lower part of the palm. The central, round design is surrounded by floral motifs which extend till the wrist and beyond. The patterns on the fingers have floral motifs.